Updated Monday March 25, 2019 by CYO Web Admin. 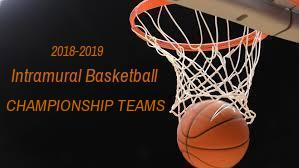 The St. Rose CYO 2018-2019 Basketball season was a great success with 148 teams participating in Grades K thru 12. Fr. Ken and the St. Rose CYO Board of Directors THANKS all the coaches, players, and parents who participated this season. Click link Photo Albums > Basketball to view/print photos. Congratulations to our Intramural Basketball Championship Teams!